The US Food Sovereignty Alliance expresses our solidarity with those at the Highlander Research and Education Center after the recent racially-motivated arson attack. USFSA’s Political Education Collective drafted the letter, and the letter was ratified by the National Coordination of the US Food Sovereignty Alliance. 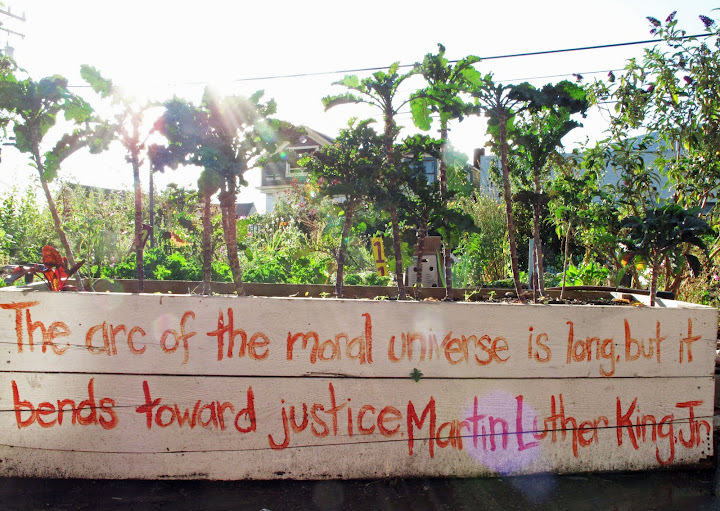 The US Food Sovereignty Alliance (USFSA), a national alliance of food justice, anti- hunger, labor, environmental, faith-based, and food producer groups sends this message of solidarity and concern to the current staff, board and constituents of the Tennessee-based Highlander Research and Education Center, at the news of the March 29, 2019 arson attack that destroyed the main office building. While we are thankful that no one was hurt or injured, we are distressed that a white supremacist symbol was found in the parking lot near where the arson took place and deeply saddened by the loss of six decades of archival material that chronicled the emergence of social movements, including the Civil Rights Movement. We recognize that much of our work as the US Food Sovereignty Alliance stands on the shoulders of movement organizers for union and worker rights, anti-racism, civil rights, social and economic justice, many of whom were the beneficiaries of education received at the Highlander Center, founded in 1932 by Myles Horton, Don West and James Dombrowski. We are grateful to be the beneficiaries today of the path that was laid to strengthen grassroots organizing and movement building despite acts of bigotry and hatred, and racially-motivated threats and attacks on the poor and working class which the Highlander Center resisted with popular education, language justice, participatory research and cultural work. By serving as a catalyst for communities to take collective action to shape their own destiny, the Highlander Center has persisted and triumphed for decades, from the time of the Great Depression, through Jim Crow, the Civil Rights Movement, and Appalachian economic justice struggles, and more recently struggles for democratization in solidarity with immigrants and other marginalized and scapegoated populations. As we seek to develop our own political education processes as a US-based alliance devoted to profound transformation of the economy, culture and political organizing around food and agriculture in the United States and linked to struggles for food sovereignty worldwide, we lift up and honor the long history of education and training that Highlander has been an epicenter for. As we stand in solidarity with the Highlander Center, we also stand firmly opposed to the rise of white supremacist groups and the ideology of fear-based bigotry and violent opposition to our movements for positive social change. Forever in solidarity! Globalize the Struggle, Globalize the Hope! To view the .pdf letter sent to Highlander Center, click here.